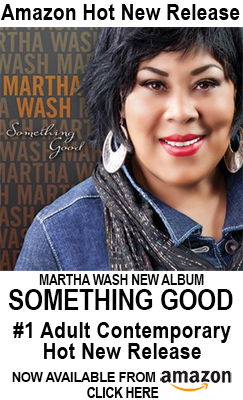 “Again” is the operative word, as just a few months prior, Wash heard her ostensible demo vocals being lip-synced by singer Zelma Davis in the video for C+C Music Factory’s monstrous club hit “Gonna Make You Sweat (Everybody Dance Now).” A frustrating cultural conundrum had taken effect: Martha Wash’s voice was famous, but she wasn’t. Wash is very likely the most famous unknown singer of the Nineties; a powerful, gospel-weaned belter who first earned fame as a backup singer for disco king Sylvester before forming the disco-pop duo the Weather Girls and recording the camp classic “It’s Raining Men.” In the early Nineties, however, Wash’s booming, powerhouse vocals could be heard on the world’s most ubiquitous dance songs, from Seduction’s “(You’re My One and Only) True Love” to Black Box’s “Strike It Up” and “Fantasy” to C+C Music Factory’s aforementioned Number One hit. At one point in 1991, Wash battled herself on the Billboard Hot Dance Club Songs, as “Gonna Make You Sweat” and Black Box’s “I Don’t Know Anybody Else” both bounced around the Top 5 for weeks on end. No less importantly, Wash became an accidental linchpin for artists’ rights. After the singer brought various lawsuits against producers and record labels for proper credit and compensation, federal legislation was created making vocal credit mandatory for all albums and music videos. But 25 years before, Wash was just a middle school kid who sang well enough to join the choir at a San Francisco high school. Her music teacher had raised enough money for the group to travel to Europe and record albums. By the time she graduated high school, Wash’s choir had released four albums and the fledgling singer had settled on her career path. Wash began singing in public through her church. The activity offered one of the few refuges from constant bullying over her weight. After years of singing gospel, Wash started taking private lessons from an opera teacher, and began developing a vocal style that drew on those studies as well as the pop, rock and funk that she loved. In 1974, when the singer went to see a concert by funk and soul musician Billy Preston, she was captivated by the talent and flamboyance of his opening act. “Sylvester had this high falsetto voice and I’m watching him and saying, ‘Oh my God, who is this guy? '” Wash said of the celebrated disco singer. “I didn’t sit down.” Two years later, Wash, then a jobbing vocalist, auditioned to be one of Sylvester’s backup singers. “The entire audition lasted five minutes,” Wash recalls. “There were two skinny white girls that auditioned for him a few minutes before I walked in. I sang a gospel song for him and he tells the other two girls to leave and says, ‘Okay, I’d like to hire you. Do you know someone that is larger than you that can sing? '” Wash contacted Izora Armstead, her co-singer in the gospel group NOW (News of the World), and Sylvester had found his backup singers. Wash quit her day job doing clerical work at the University of California, San Francisco hospital to join Sylvester full-time, appearing on four of the singer’s albums, including the disco hits “(You Make Me Feel) Mighty Real” and “Dance (Disco Heat).” Even at the height of disco — when social outsiders were finding their way in to the mainstream — an openly gay, cross-dressing frontman and, as Wash puts it, “two large women” was an anomaly. Still, Sylvester became one of the genre’s most popular singers and personalities. Jabara knew he had a hit, but none of his famous friends wanted to touch it. Diana Ross passed. Cher quickly declined. Barbra Streisand said no. But in 1982, Wash and Armstead, now known as the Weather Girls, accepted, releasing “It’s Raining Men” to immediate success. The song sold six million copies worldwide — its shouts of “Hallelujah” and “Amen” nodding to the duo’s gospel roots — and was quickly embraced by both the gay community and Hollywood film and television producers. “Could you imagine Barbra singing that song?” asks Wash, laughing and shaking her head. As Wash continued her session work, she reunited with producer David Cole, a former New York City DJ and session musician for Fleetwood Mac and Janet Jackson who had previously been Wash’s pianist and musical director in the Weather Girls. Cole was now the co-founder of house music production team C+C Music Factory (the other C standing for DJ/producer Robert Clivillés). 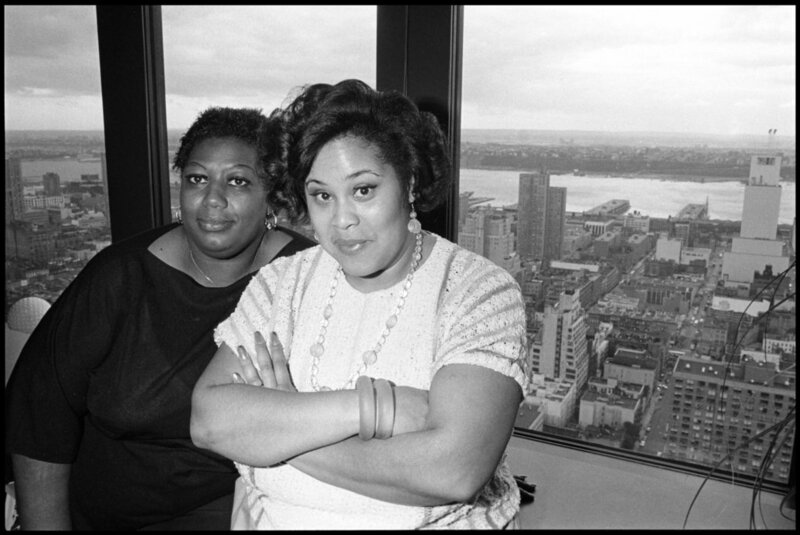 Before the group struck out on their own, Clivillés and Cole had been a prolific house production duo, working as freelance producers for Chaka Khan and Grace Jones alongside countless other groups. “David would call me up and I would go and do demos for him,” Wash says. “That’s how Seduction came about.” Seduction was originally just another studio project put together by C+C until Wash’s vocals for their second song “(You’re My One and Only) True Love” made it an unexpected hit. The production duo quickly put together a trio of three beautiful women to be the “face” of Seduction, with Wash only getting “backing vocalist” credit on her own song. It would be a harbinger of things of come. In 1989, Wash received a call to record with a trio of Italian house music impresarios named Groove Groove Melody, who produced for outside singers. Unbeknownst to Wash, the trio had already used vocals from Loleatta Holloway’s 1980 disco song “Love Sensation” — the same song that Marky Mark and the Funky Bunch would use legally and liberally for “Good Vibrations” two years later — for “Ride on Time.” Now operating under the name Black Box, GGM brought in Quinol, a thin, French model, to lip sync the song in clubs before Holloway found out and sued. Although a settlement was eventually reached, the trio subsequently hired British singer Heather Small to replicate Holloway’s sampled vocal slices and re-released the song, assuming that no one would know — or care — enough to notice. According to Wash, she was paid a flat fee to record demos to be presented to other singers. Instead, the producers included her vocals on nearly every song on Black Box’s debut album Dreamland, including future hits “Everybody Everybody,” “I Don’t Know Anybody Else,” “Fantasy” and “Strike It Up.” Wash was never credited in the album’s liner notes. While none of the producers in Black Box publicly said why Quinol was used as the face of Black Box in videos over Wash, it wasn’t hard to figure out. When Dreamland was released in May 1990, the cover featured a crouching Quinol, clad in a cropped jacket and mini skirt, showing off her toned legs and staring longingly. Wash was fed up and angry, livid that just because she wasn’t a size four someone could pass off another person as her. The slight was a painful reminder of her days getting bullied as a child over her weight. Except now, she had some success behind her to do something about it. In July of 1990, the singer filed her first lawsuit against Clivillés, Cole and Seduction’s record label A&M Records for unauthorized use of her voice. Two months later, Wash would file another lawsuit against Black Box and RCA Records for “commercial appropriation,” claiming she never received proper credit for any of the Black Box songs. If fans couldn’t tell who was singing on record, in a live setting, the truth rang clear. In a video that appears to be from that time period, Quinol can be heard singing “I Don’t Know Anybody Else” live as Wash’s backing track blared from the PA. Hers is a comically bad performance. For the first 80 seconds, Quinol struggles to hit her notes, caterwauling around the stage before her mic is mercifully cut and she is forced to lip sync Wash’s vocals. “I was told it was going to be a demo for another singer,” Wash says of “Gonna Make You Sweat.” It wasn’t. In October 1990, the group released the song and subsequent video, featuring the band’s other singer, Zelma Davis, lip-syncing Wash’s vocals. “The record label, production company and management told me that it was OK to lip sync in the video as long as I sing live in public,” Davis recalls. “I was 19, inexperienced and extremely gullible. On the video set, I told members of the crew that it wasn’t me singing this particular song. As word spread throughout the set that I was revealing this fact, label representatives and our management pulled me aside and asked that I stop speaking about whose vocals they were.” Despite being the track’s primary singer, Wash was merely listed in the album’s liner notes as one of six background vocalists. In an interview with A Current Affair at the time, Music Factory member Freedom Williams gave his opinion on why Davis was used over Wash. “I don’t mean to be rude, harsh, callous, maligning or vilifying,” Williams said. “But I’d rather look at Zelma onstage.” Davis claims that when she auditioned to be the lead female singer, she was never told there were other female members of the group. Clivillés maintains to this day that the lawsuit “wasn’t necessary” and that there was no intentional deception on his part, arguing instead that the media perpetuated the notion that C+C had tried to pull a fast-one on the music-buying public. I wonder if Wash, who had more than a decade’s worth of experience at the time, takes any personal responsibility for the shenanigans that occurred during this time period. Does she assign any blame to herself in allowing this to happen? Even after all of Wash’s personal lawsuits, though, the story was far from over. In November 1990, nine days after Fab Morvan and Rob Pilatus admitted that they didn’t sing on any songs by Milli Vanilli, multiple class-action consumer fraud suits were filed by those who bought Milli Vanilli and Black Box albums. In their legal defense, even RCA, the label behind Black Box, said they thought Quinol, not Wash, was the actual singer on the album. As a result of the lawsuits, record labels were forced to assign proper vocal credit for all albums and music videos. Wash had become an unwitting industry pioneer. Wash kept moving, releasing her eponymous debut album in 1992 (a byproduct of her settlement with RCA) and, appropriately enough, recording a cover in 1996 of Elton John’s “I’m Still Standing” for the First Wives Club soundtrack. Numerous one-off tracks would follow, with the singer later establishing her own label Purple Rose Records in 2005. In 2013, the same year Wash would appear in the documentary on backup singers 20 Feet From Stardom, she released Something Good, her first solo album in 15 years. It’s a positive, inspirational album — more pop and rock than dance — whose titles “Proud,” “It’s My Time” and “Something Good” reflect Wash’s current mind state. “I’m a woman of a particular age and I’ve been a lot of places, but it’s my time right now with this new music,” says Wash. “I wanted to have a theme of empowerment and feeling good music that helps you get from one day to the next.” A remix for Something Good track “I’m Not Coming Down” reached Number Two on the Billboard Dance Club Chart. “I was ahead of Beyoncé, Lady Gaga and Iggy Azalea,” she says, laughing. “I was totally mystified.” Elsewhere, Wash takes on Aerosmith’s 1973 classic “Dream On,” with the lines “Live and learn from fools and from sages” and “Everybody’s got their dues in life to pay” taking on added resonance for the singer. Wash continues to travel the world, performing solo shows alongside numerous pride events and festivals. The gay icon has been involved in LGBT rights and fundraising for the fight against HIV/AIDS for more than 30 years after watching Sylvester succumb to the disease, and she remains an outspoken advocate for the LGBT community. I ask Wash if, after everything that’s happened in her career, she feels that she’s finally gotten proper credit for her accomplishments. Her answer is swift and resolute.